This 16 Gauge shotshell from Fiocchi’s Game and Target line of ammunition is loaded with one ounce of #8 lead shot. 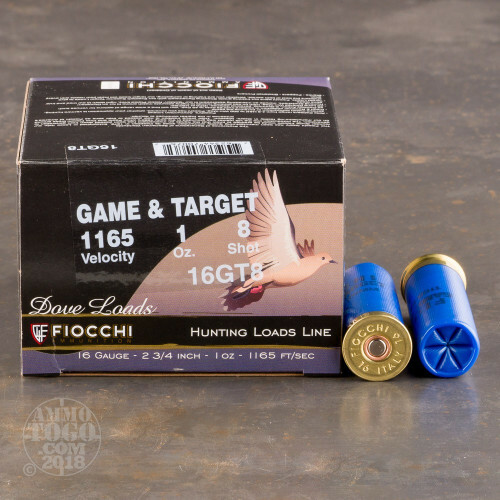 The high-grade chilled shot is hard enough to resist deformation in your barrel, which along with its one-piece shot cup assures that it delivers a tight and consistent pattern. 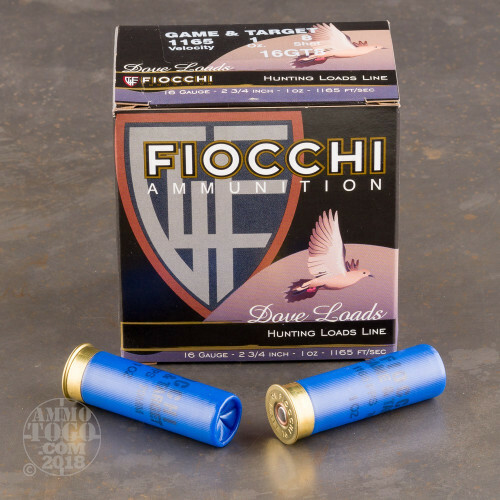 The .09” diameter pellets shine when it comes to disintegrating clays mid-flight, even while they’re at full speed, and also excel at dropping smaller birds from reasonable distances. Try them on your property’s snake population, too -- serpents are especially unfond of #8 shot. 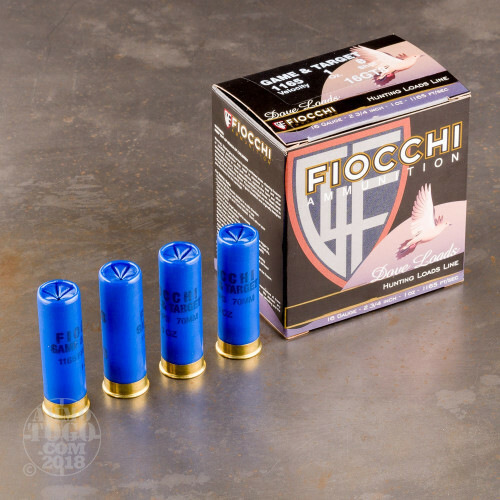 Fiocchi makes all of their shotshells’ components from raw materials, and as such are able to soak a substantial amount of quality into them. If you want to see what an ammo manufacturer can do with over 140 years of experience and a state of the art production facility, look no further than this shell’s uniform shot pellets, hard plastic hull, reliable primer, and even burning powder. They all comes together to create an economical although nonetheless economical shooting solution.